Home Our Faculty & Staff Faculty Habibeh Khoshbouei, Ph.D. Projects in our laboratory are focused on the identification of novel mechanisms involved in regulation of dopamine neurotransmission in the brain. In particular we are interested in the regulation of dopamine transporter (DAT) an integral membrane protein vital for regulation of synaptic dopamine. 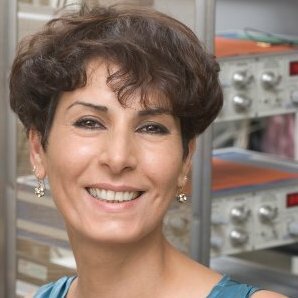 Work in our laboratory is devoted to understanding the details of DAT regulation, trafficking, the pharmacological modulation of the transporter and how this is all integrated into the broader context of normal dopamine signaling and the pathogenesis of addiction, neurological and neuropsychiatric disorders. We have made great stride in understanding the mechanism of methamphetamine regulation of dopamine transporter, as well as understanding the molecular mechanism of alpha-synuclein regulation of dopamine transporter activity, the central subjects of our NIH funded projects. 1- Late 2015, I have started a new project to determine how HIV-1 Tat-mediated modulation of cellular/molecular interactions between dopaminergic neurons and microglia leads to dysregulation of dopamine neurotransmission. This project is now funded by a two year R21 grant. I plan to submit a RO1 grant extending the long-term goal of these studies. 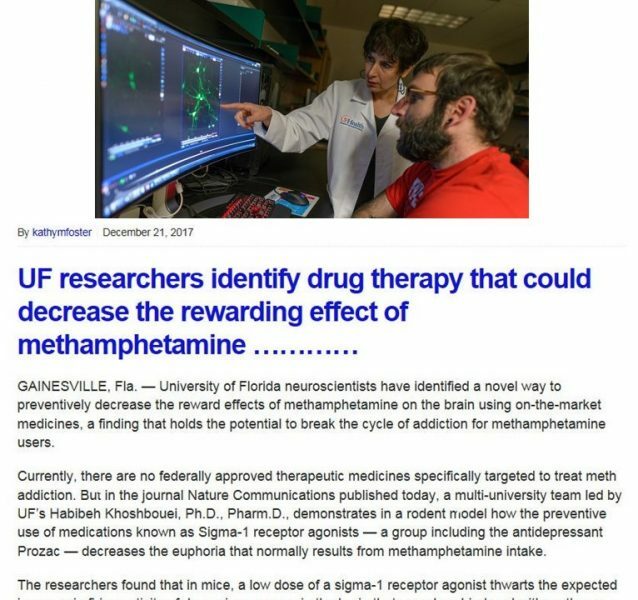 2- One of the current studies at the lab is focused on understanding how psychostimulants such as amphetamine and methamphetamine affect the biophysical properties of dopamine transporter. 3- The central focus of two studies at the lab is to determine how protein/protein interaction (i.e. sigma-receptor/DAT or alpha-synuclein/DAT) regulates the activity of dopamine transporter and ultimately dopamine signaling in the brain. 4- We continue working on iPS-derived human DA neurons. This approach allows us to study alpha-synuclein regulation of DAT activity in the most physiologically relevant cells – human midbrain DA neurons. The study of human midbrain DA neurons from normal and diseased patients will potentially identify key mechanistic differences between healthy and diseased dopaminergic neurons. This year I’ve started a new project Titled: Dopamine transmission in human macrophages. Macrophages are a type of white blood cell that engulfs and digests cellular debris, foreign substances, microbes, and cancer cells via a process called phagocytosis. In addition to phagocytosis, macrophages are involved in innate immunity by initiating specific defense mechanisms. In addition to their involvement in inflammation, macrophages have a significant anti-inflammatory role by decreasing immune reactions through the release of cytokines. In rodent macrophages and human T-cells, dopamine has been shown to modulate their cellular functions through activation of dopamine receptors and other dopaminergic proteins. The expression of these proteins and the effects of dopamine on human macrophage functions have not been studied. The central goal of this study is to fully characterize dopamine transmission in human macrophages and examine the potential age and gender differences. The results will have broad clinical applications providing fundamental information as the first step in launching early stage biomarker for neurodegenerative diseases such as Parkinson disease.